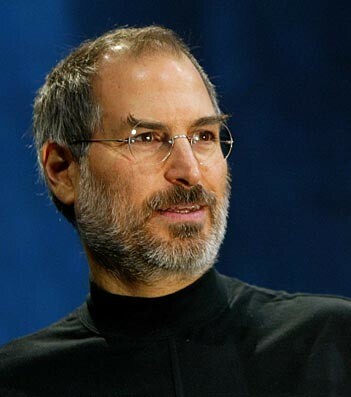 Steve Jobs was a young man, and then he died. Most people know Steve Jobs as the main personality of Apple; his contribution to the pre-Apple early days of computing should not be overlooked. Yet he will always be known as the man with the trademark black turtleneck showcasing a new high-end product likely to sell enormous quantities. I was never a particular fan of his products; while the Apple operating system and its assorted branch products were very good at many things, they also had some serious drawbacks. I never quite understood the near-cultish devotion to his products many customers had, especially when a vast majority of its users would not even touch most of the stuff that differentiated itself from Microsoft and other competitors. Partly it was simply brand awareness--it's much classier to own an Apple than some cheaper off-brand that still manages to do 97% of the same stuff. But a lot of people bought into the corporate culture itself, much like people do with, say, Ikea or Keurig. There is a certain allure to that that I simply didn't get. Of course, that culture only goes so far. The tight hold that Apple (at this point, you should realize that "Apple" and "Jobs" are interchangeable) retains on pretty much all development stifled creativity; thankfully, he was able to attract creative people to make up the difference. It's also worth noting that while others imitated his style and products, he did quite a bit of imitating on his own. Not that this is a negative thing, mind you; the proper competition of the marketplace is designed to do just that, and he contributed and took advantage of both sides. In some ways, it's easy to dismiss Jobs. I mean, sure, he sold one of the most iconic brands in modern corporate, technical, and popular culture--it's a rare person of any demographic that doesn't own an i-something. But often, when it came down to it, detractors saw his products as simply a more streamlined concept of something that's been done before. Often, he was an innovator, but just as much he was an improver. The former makes you a visionary, while the latter makes you money. Steve Jobs was one of the few who excelled at both.